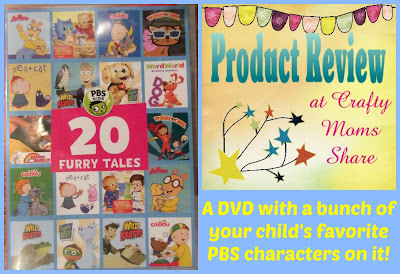 Today I get to share with you a new PBS Kids DVD that is available only at Walmart. The DVD is 20 Furry Tales. It came out last week. It is not available on-line (or at least I could not find it at Walmart's website), so you have to go into a store to buy this one. This DVD has almost four hours of shows on it! 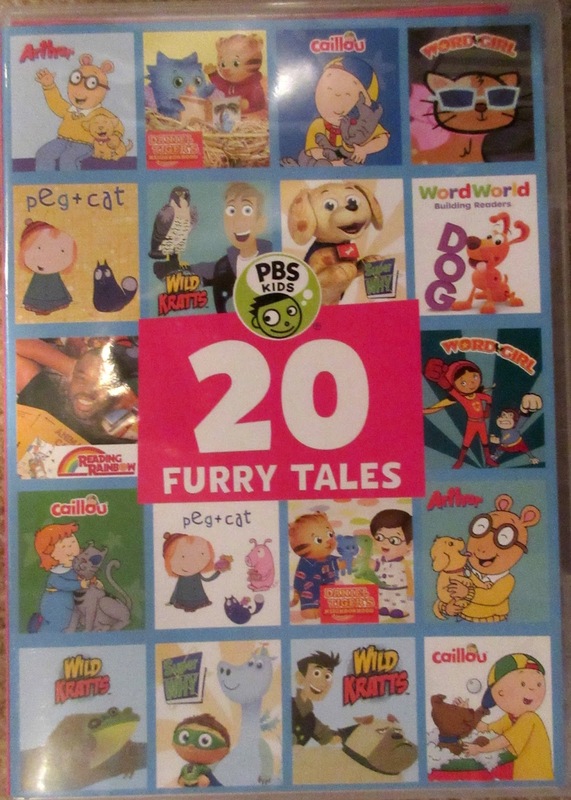 It includes Wild Kratts, Peg + Cat, Word World, Caillou, Arthur, Super Why, Daniel Tiger's Neighborhood, Reading Rainbow and Word Girl. All of the stories feature a furry friend!! Hazel loves this DVD because it has many of her favorites as well as some of her previous favorites that she likes to watch every once in awhile all in place. 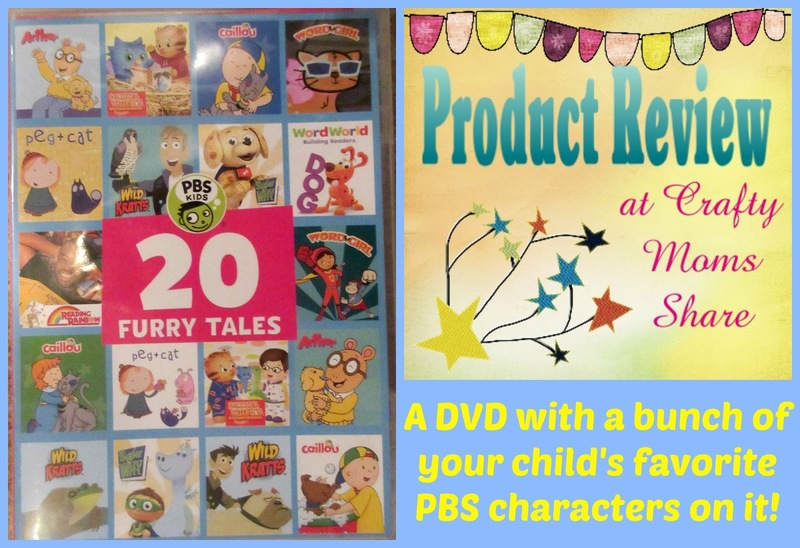 It is great for multiple ages due to the shows on it and can span preschool to early elementary. All of the shows are educational and teach about life, math, reading and animals. The DVD menus are set up so that you can look at the episodes of a particular show and do not have to watch all the shows if a child is too young or too old for the show. I hope you will take the time to check it out.